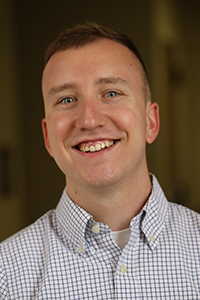 Michael Lotspeich is a Ph.D. student in Sociology at Baylor University in the Community Analytics track. He is also an information assurance strategist at Baylor University’s Center for Community Research and Development, and research associate at the Center for Economic Studies of the U.S. Bureau of the Census. Lotspeich methodologically specializes in applied data analytics, spatial data intelligence and remote sensing, hierarchical linear modeling, and multimodal survey management. He has utilized community-based participatory research to convey complex federal statistical data to an affected audience. Before attending Baylor, Lotspeich completed his B.A. in Sociology, Anthropology, and Geographic Information Systems (GIS) at the University of Illinois. He also participated in the Summer Research Opportunities Program (SROP) at The Ohio State University, in the College of Food, Agricultural, and Environmental Sciences. Lotspeich is projected to complete his doctorate. He plans to seek research positions that best represent the application of his methodological and substantive qualifications. Michael Lotspeich's Full Curriculum Vitae. Michael C. Lotspeich II, Charles M. Tolbert, and F. Carson Mencken. 2019. “Oil and Gas Development and Small Business Lending in U.S. Nonmetropolitan Counties.” Journal of Maps 15(1):46-51.